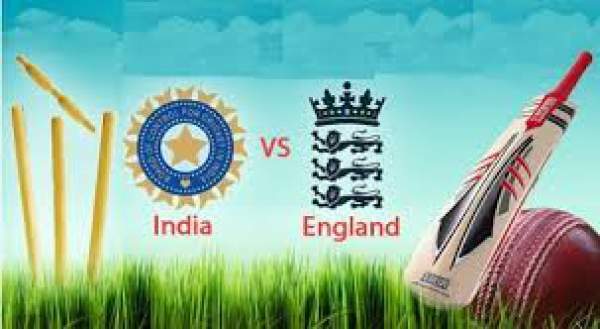 India vs England live streaming (IND vs ENG) 3rd T20 match is here. Feel free to watch England v India live streaming of the third T20I game of the three-match series. England is on the tour of India for a tournament consisting of 5 Tests, 3 ODIs and 3T20Is matches series. India has won both the Tests (by 4-0) and ODIs series (2-1). Now, in this ongoing T20 series, England won the first match. Today, it’s the turn of the second game to be held at Vidarbha Cricket Association (VCA). Enjoy the live updates of India vs England live streaming, score, commentary, and much more. English skipper has won the toss, and Eoin Morgan decided to bowl first against India. The match has started in Nagpur on Sunday. Stay here for the live scorecard update. The England cricket team hasn’t made any significant changes in its playing XI. The change is just one that they have brought in Liam Dawson in place of Liam Plunkett. Indian captain Virat Kohli has also made one change in the playing 11 players. He has included one more leg-spinner Amit Mishra and replaced Parvez Rasool. The fans will witness Amit’s deliveries today. In this match, the men in blue will play with its two leg spinners where Yuzvendra Chahal is already on the team. He claimed two wickets in 1st T20 which took place in Kanpur. India hasn’t changed its openers combination. It means that captain Kohli has shown confidence in KL Rahul who has seemingly walked out the form. It is apparent from his last four innings where he scored 8, 5, 11, and 8 runs respectively. The last four innings are of three ODIs and one T20 game. Today’s match has become fascinating as Virat Kohli need to win it at any cost if they are to keep their series’ winning chances alive. After winning the toss, Morgan talked to reporters and said that today’s wicket is a typical Indian one and it doesn’t have a blade of grass. Moreover, Kohli also appeared to be in favor of bowling first if he had won the toss. But, he also said that he would like to draw some positive from this ground as they lost the game against New Zealand in the T20 world cup 2016. Below are the details for the IND vs ENG live streaming online and watch on TV. The live stream India vs England can be viewed online and on TV starting from 4:30 pm IST by utilizing the following details. England v India live streaming cricket in India can be seen in Hotstar (http://www.hotstar.com/sports/cricket). Live Television available in Indian states on STAR Sports 1, STAR Sports HD1, STAR Sports 3, STAR Sports HD3. TV available in the UK on Sky Sports 2. Stay tuned for India vs England live cricket score, commentary, match result, ball by ball updates, the man of the match, and much more.